2019, January 19 – National Children’s Day is a big thing in Thailand: Every year around the second Saturday of January schools and authorities celebrate the young across the whole country. We took this opportunity and asked: What do you kids dream of? This year, National Children’s Day was on January 12th, and Center for Girls was happy to join a few festivities. 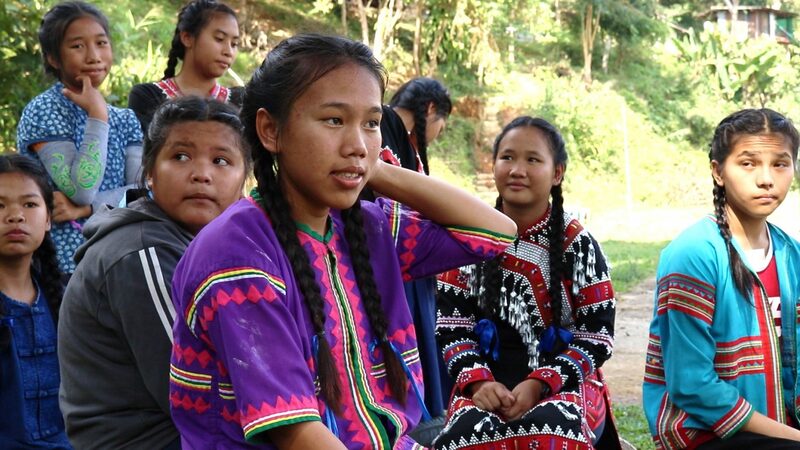 Since schools in Thailand are closed on the weekends, teachers celebrate their students one day before – this is when we climbed up the hills of Chiang Khong to Songpinong, a village of Lahu People. Music, young and older kids performing dances, balloons everywhere, teachers where giving toys and candies to every single child: The party had already started as we arrived. Primary Schools in Thailand include grades from one to six. What thoughts on their future have kids who are going to leave Songpinong’s school when the current school year ends in March? We asked a group of young ladies for interviews. Ado, a 13 years old girl, shared with us that she wants to become a mechanic, helping others by fixing motorbikes. Just as Ado, Mukda – another girl Center For Girls interviewed – wants adults to make education accessable for everyone. “Every child should get the chance to go to school, and to find a good job”, Mukda told us. Watch the whole interviews in the video below. For this year’s actual National Children’s Day, Center For Girls got invited again by the Local Municipality of Sathan, a sub-district of Chiang Khong, to be part of their festivities. Equipped with bags full of toys and sweets and several games, we were happy to welcome cheerful families by the dozen at our booth as well as younger and elder fans of Bingo. 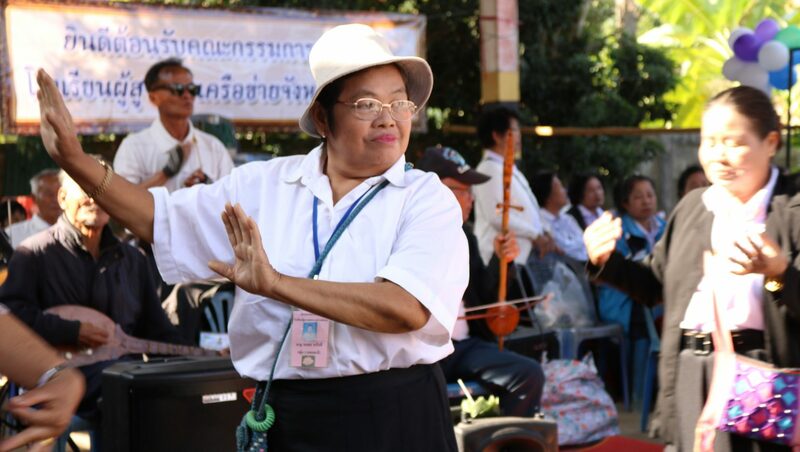 We then turned the tables and pointed our microphone at the older generation: “I want every child to live a happy long life” is one of the things the elderly wish today’s children of Thailand. Let’s all together work on that!